Peoria, AZ (4/12/10) – RZRS Edge Racing is pleased to introduce their newest sponsors for the 2010 race season, HCR Racing, KING Shocks, Summers Bros. Racing, and Pit Bull Tires. The RZRS Edge Racing Team is focused on a championship run in the 2010 BITD racing series and these new sponsors will play instrumental roles in helping them accomplish their goal. One of the most crucial components of any off road racing vehicle is the suspension so the addition of HCR Racing to the RZRS Edge Racing Team is an exciting one. HCR will be equipping the #1912 RZRS Edge Polaris RZR-S with a new +6 RZR Long Travel Kit constructed of tig welded 4130 chromoly steel A-arms and utilize many of the stock RZR components. “The extra 2” of width and wheel base the HCR suspension has given us keeps the RZR-S firmly planted to the desert” says co-driver Bill Fain of RZRS Edge. Working in conjunction with the new HCR long travel suspension and helping cushion their ride over the harsh desert terrain will be a set of new KING 2.0 coil-over shocks. RZRS Edge is thrilled with the new KING coil-overs and the decision for them to go with KING Off-Road Racing Shocks was an easy one. With KING’s experience in off road racing and willingness to help the RZRS Edge team test and tune their shocks, deciding on KING was a choice that will hopefully land them on the podium many times this season! 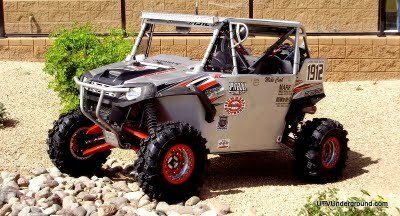 In addition to the HCR long travel suspension and KING ahocks the RZRS Edge Polaris RZR-S has also added Summers Bros. Racing to the list of high quality parts sponsors. Summers Bros. Racing is known throughout the industry as being the best manufacturer of aftermarket axles for UTV’s as well as all forms of high performance racing vehicles. The RZR-S will be equipped with Summers Bros. +6 300m Polaris RZR axles. Built to withstand the rigors of off road racing these 300m axles will play a key roll in ensuring strength throughout the RZR-S suspension and will assist in confidently putting the RZR-S power to the ground. One of the most important decisions any off road racing team can make is what tire to run on their vehicle. The BITD race courses are known as some of the most demanding and troublesome courses for tires so selecting a tire that can take on the razor sharp rocks and harsh environmental challenges is one that can not be overlooked. RZRS Edge Racing ultimately decided on Pit Bull Tires for their 2010 racing season and so far the decision to go with Pit Bull Tires has been a solid one! The RZRS Edge Polaris RZR-S will be quipped with 26” tall Pit Bull Growlers which provide a smooth ride and offer the rugged durability required for off road racing. RZRS Edge Racing is coming off of a solid 2009 racing season in BITD. With a win at the 2009 BITD Henderson Fabtech Desert Challenge and 5 other top 5 finishes in the 2009 BITD season, RZRS Edge Racing looks to top their 4th in points finish with a 2010 BITD Championship! The RZRS Edge Racing vehicle is a 2009 Polaris RZR-S.
HCR Racing manufacturers UTV & Side by Side long travel kits, side doors, skid plates, bumper grills, dash trims, door inserts, bedrail trims, roofs, cargo racks, bed tie down clips, flag/whip brackets, spindles, exhaust tips, and more. All parts are CNC manufactured for precise, fit, finish, and performance. If you’re ready to place an order or have additional questions, please call us directly at 888-928-7223 or contact one of our dealers. 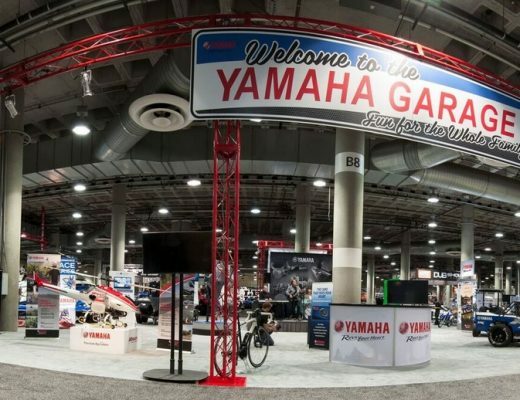 For the past 10 years, King has been a true leader in the development and manufacture of off-road racing shocks, attracting a clientele of several of the sport’s top stars. King is also heavily involved in the UTV market, and has been hard at work in race developing shock absorbers for the all popular UTV models. Pit Bull Tire Company was founded in 1994 as the motorsports development division of Tire Mart, Inc., a 65+ year old stalwart in the tire industry.